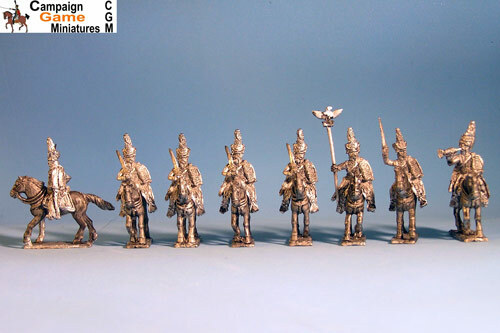 Polish Marching Czapka, Grenadiers in Bearskin with command. 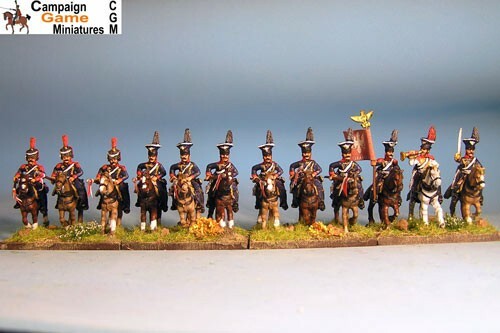 Fusiliers in Czapka but Grenadiers in Bearskin. 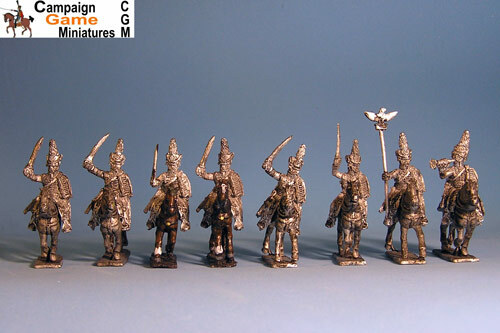 3 command figures in 12 figure battalion pack and 4 command in all other battalions. Use menu on right to choose 12, 16, 24, 32, or 36 figure packs. 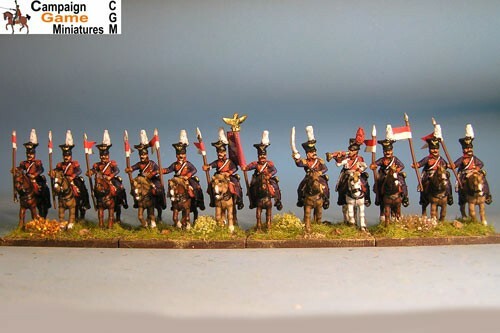 Polish Marching Czapka, Grenadiers in Bearskin with command. 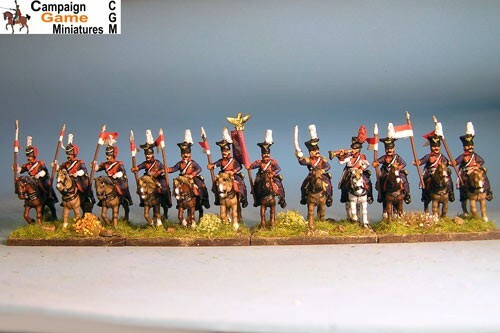 Fusiliers in Czapka but Grenadiers in Bearskin. 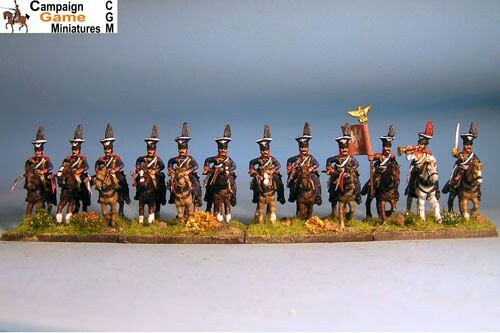 Grenadiers were given the bearskin hat in 1810. 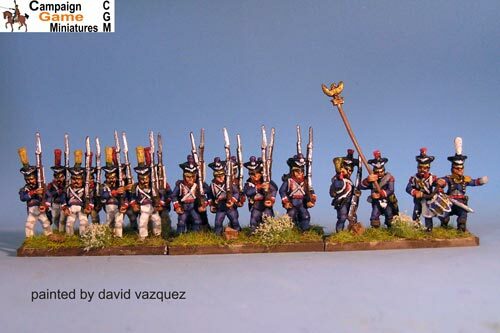 3 command figures in 12 figure battalion pack and 4 command in all other battalions. Use menu on right to choose 12, 16, 24, 32, or 36 figure packs.